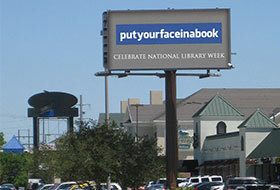 Baton Rouge, LA – April 16, 2012 – Building your own billboard has never been easier or more affordable, thanks to an innovative new digital product from Lamar Advertising Company (Nasdaq: LAMR). Postr™ is a billboard with a digital component that allows consumers and businesses to post their message in minutes for $25 per day. 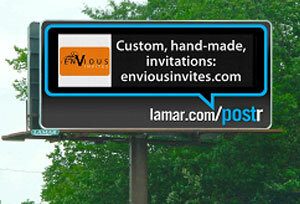 Customers can post their message on a Postr™ billboard in Little Rock in three steps: first, visit lamar.com/postr; next, upload an image; finally, enter a message up to 60 characters. 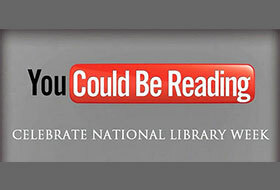 Each spot will be in a rotation and will play over 1,000 times per day. Users have the option to change their message up to two times per day, and they can reserve one of six Postr™ billboard locations up to two weeks in advance. Postr’s™ social media component differentiates itself from other media. Once a user purchases a spot on Postr™, they can share the preview on Facebook, Twitter, Google Plus or email. Postr™ is being introduced in six locations in Little Rock, AR. 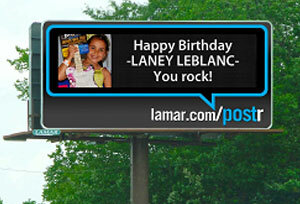 Lamar Advertising Company has 1,475 digital billboards across the U.S.